Snow Shield TC - Harold Argleston, WC Library. Zan'ne, Krok Library. The Archivist, District of the Stars, CL. Sold for 150 Gold each. Trumpet Vine - Harley, Base Camp, CL. Narley, Savannah, ZF. Sold for 2,400 Gold each. Sapphire - Can be bought in most worlds from Reagent Vendors. Scrap Iron - Chelsea Court, MB is best. Also found in other areas of MB. Spring - Found as a Rare Harvest from Scrap Iron. Can be transmuted and bought in Bazaar. Leather Straps - Dropped from a lot of bosses and mobs. Can be transmuted and bought from Bazaar. Clockwork Spider TC - Dropped from bosses like Ghost Dog - Central Keep, Fort Rachias, KH. Kravenly, Banyan Tower, Tyrian Gorge, KH. Sun Darkling, The Black Hole, The Hive, KH. Quartermaster Rackum, Horned Barracks, Fort Rachias, KH. Belosto Toebiter, Water Cavern, Moon Cliffs, KH. Razele the TwoFaced, TwoFace's Lair, Bastion, KH. Also found in the Nightmare Pack. Also can be obtained from Clockwork Flowers as well as the KH Silver Chests. Brain Sturgeon - Krokotopia, Entrance Hall, Krokosphinx, KH in right pond. 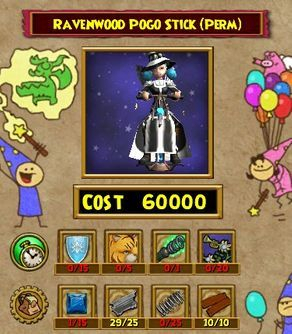 Silver Trumpet Vine - Sold in the Crown Shop for 1000 Crowns. 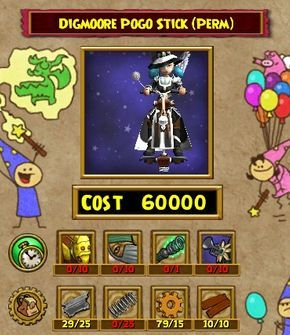 Dropped from a lot of CL bosses and mobs as well as Avalon like Glauco, Junglethorn, Lord of the Brocken, Maglump, Marcio, Mithraya, Narallow Nightborn, Bloodwing, Blue Bart, etc etc. Also found in Packs such as the Hydra, Kirin and Wyvern. Bronze Gear - Dropped from a lot of bosses and mobs. Can be transmuted and bought from Bazaar.